It seems hard to believe not least because the omens for the 23-date sell-out UK Original Line Up tour appeared so unpromising. 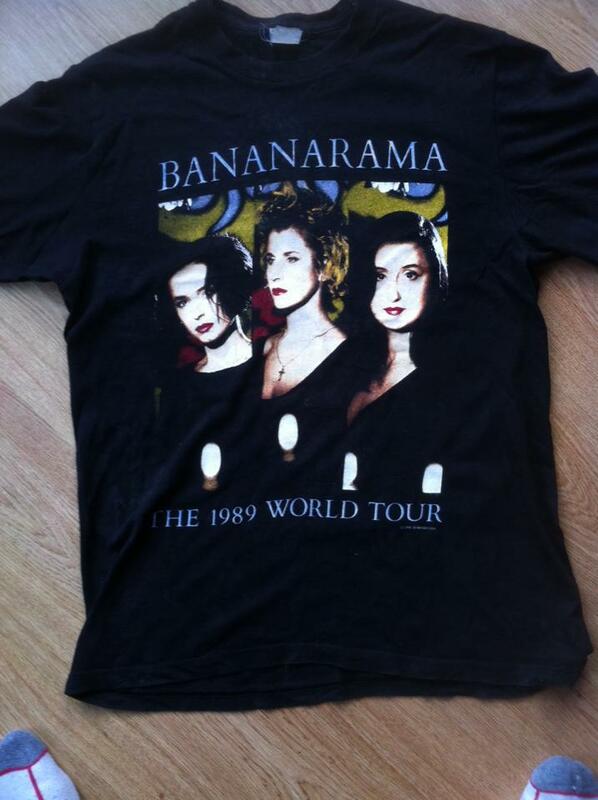 Siobhan Fahey joined Bananarama in 1981 and left seven years later before their first world tour in 1989. We were at the old Wembley Arena for that 28 years ago and it was a high the band struggled to top. Fourth member Jacquie O’Sullivan replaced Siobhan and stayed with the band until the 90s when Sara and Keren continued as a duo, releasing their tenth and most recent album, Viva, in 2009. Fast forward to the last date of the reunion tour and Prince’s Let’s Go Crazy is the final song played before the trio take to the stage for Nathan Jones. The setlist is based around Siobhan’s time in the group and means there are so many classics here that we’ve never heard the Nanas play before because that first world tour was based around Stock Aitken and Waterman-produced album Wow! and the gigs that followed tended to exclude the earlier material. There’s also a live band playing the material and it soon becomes clear that Siobhan’s the rock grit in the oyster that transforms the band into the pearl. The setlist’s clearly been well thought through and the band’s friendship made clear in Cheers Then and rubber-stamped during Siobhan’s moment in the sun (Shakespear’s Sister chart topper Stay) and enhanced when she picks Preacher Man, a single released after she left, for the reunited trio to perform. The Eventim Apollo can have seen nothing like it. It’s overrun by boisterous groups of women of around the same age as the band and gay men of that vintage also. Sales of flashing red devil horns also appear to be going through the roof as the roars of appreciation grow ever louder throughout the set. Their companionship and sense of fun is infectious and by the time the SAW numbers rear their heads (song 12 I Heard A Rumour) the audience enthusiasm is bordering on the riotous. Although to be fair the audience rose to its feet as one at the first song with the pace unrelenting. As the gig draws to a close, it dawns on us that, as things currently stand, we’re unlikely to see this original line up again, which would be a great shame. There’s a short tour scheduled for early next year in the US but we think the success of these shows merits a rethink and a repeat of the tour. The possibility of the trio writing material together again would be the icing on the cake. And that would be really saying something.